I found that the two prequel stories were fascinating. The first – although not quite what the blurb said- was about our three protagonist queens, Mirabella, Katherine and Arsinoe. It shows their relationship when they are in the black cottage and after they are separated. It was nice to see them as themselves and not what they have been shaped to be by years of grooming for the throne. It also adds depths for the main book as Mirabella and Arsinoe are reluctant to their siblings and now we know why. In the first book, they were always presented to us as enemies who could not remember each other but now, we can see the affection that they share and why they care about Katherine. 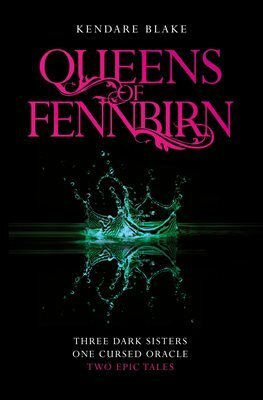 The second story in Queens of Fennbirn is about the mad queen Elsabet and why there is a distrust of oracles. This was quite a nice story that then was given context for its existence in two dark reigns. 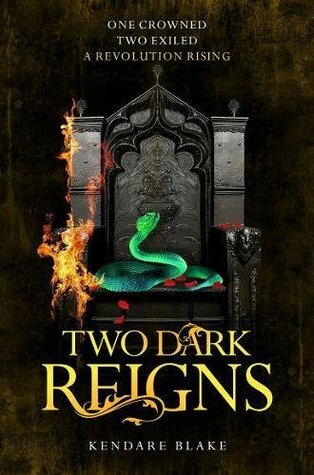 Two dark reigns was a bit of a disappointment by comparison. I found that the supernatural element of this story to be uninspiring and quite an artificial motivator to drive the plot forward. This I felt could be resolved if the ending of the second book wasn’t so bad (see the earlier post). I also found that the Legion Queen plot line was a bit contrived. I felt that it was forced onto the characters and was fairly unpleasant to read. The ending was also a bit confusing as I am not fully sure what happened. I am still looking forward to reading the ending of this series though. ‹ PreviousHow Bad Are Bananas?